The Tree Boutique Condo Changklan. 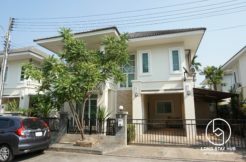 Location is a convenient 15 minute drive from Chiangmai Airport and 10 minute to Night Bazaar. The units are simply decorated with pleasant furniture, en suite and has a kitchenette. Project facilities include 24hour security, fitness and swimming pool.